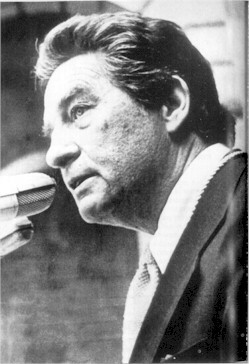 B' e Octavio Paz sgrìobhadair agus bàrd à Meagsago. Rugadh e ann am Meagsago (baile) ann an 1914 agus chaochail e an siud fhèin ann an 1998. Bhuannaich e an Duais Nobel ann an Litreachas ann an 1990. Air a tharraing à "https://gd.wikipedia.org/w/index.php?title=Octavio_Paz&oldid=536800"
Chaidh an duilleag seo a dheasachadh 8 dhen Lùnastal 2017 aig 16:52 turas mu dheireadh.